Home » Healthcare Cybersecurity » What Can Small Healthcare Providers Do To Prevent Ransomware Attacks? Ransomware attacks on healthcare providers are occurring with alarming frequency. 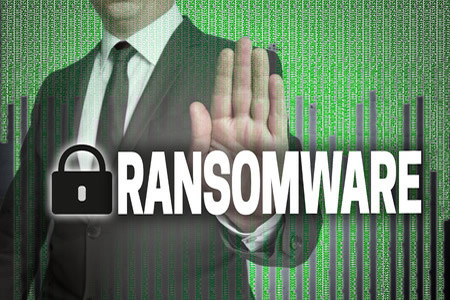 Figures from the FBI suggest as many as 4,000 ransomware attacks are occurring every day. Healthcare organizations are targeted because they hold large volumes of data and access to those data is required to provide medical services to patients. Without access to patients’ health information, healthcare services can be severely disrupted. Such reliance on data makes healthcare providers attractive targets as they are more likely than other companies to give in to ransom demands to obtain keys to unlock their data. All businesses, and healthcare organizations especially, should implement a number of defenses to prevent ransomware attacks. Policies and procedures should also be developed to ensure that in the event of an attack, business operations are not severely disrupted and data can be recovered quickly. There is no one technology solution that can be deployed to prevent ransomware attacks from occurring, although there are a number of actions that can be taken to improve resilience against ransomware attacks and ensure a fast recovery can be made at minimal cost. Most important of all is to ensure data are backed up daily. Backups should be stored securely in the cloud. Local backups should be stored on air-gapped devices. Backup drives should not be left connected after backups have been performed. Backup drives can also be encrypted by ransomware. HIPAA Rules require ransomware attacks to be reported if the protected health information of patients has been accessed or encrypted, unless the covered entity can demonstrate there was a low probability that patient data were compromised in an attack. While some healthcare organizations have disclosed ransomware attacks, many are not reporting the incidents. The failure to report a ransomware attack and notify patients that their ePHI has been compromised can potentially result in financial penalties for noncompliance with HIPAA Rules. To avoid a HIPAA penalty, a covered entity must be able to demonstrate there was a low probability of patient data being accessed or copied during an attack. The Department of Health and Human Services’ Office for Civil Rights released guidance for covered entities on ransomware infections last year. In the guidance, covered entities are advised of the steps that should be taken following a ransomware attack and the criteria for determining whether patient notifications must be issued. The guidance can be downloaded/viewed on this link.